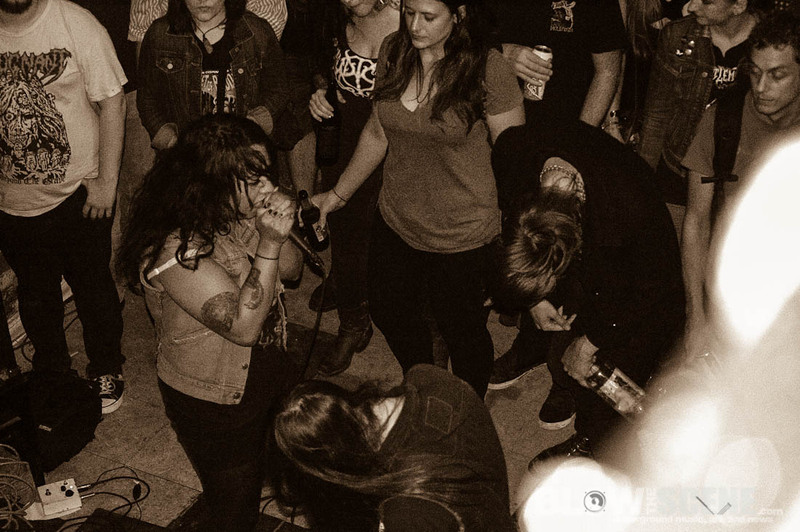 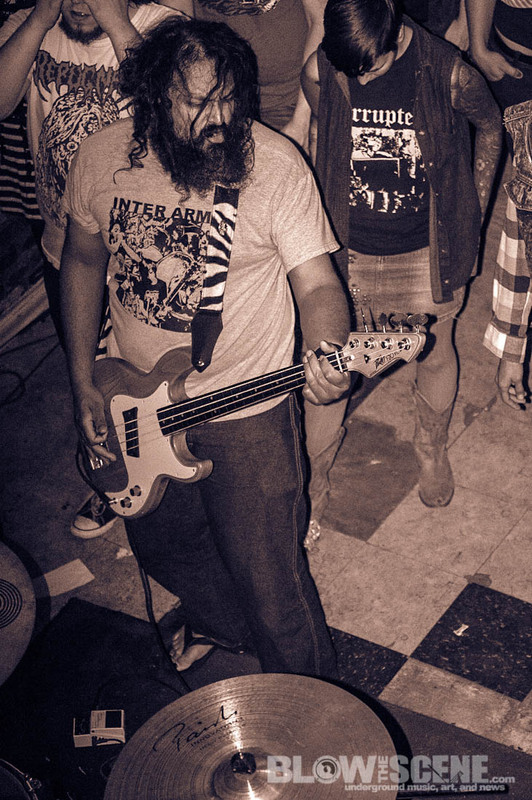 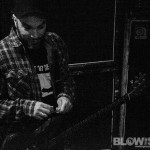 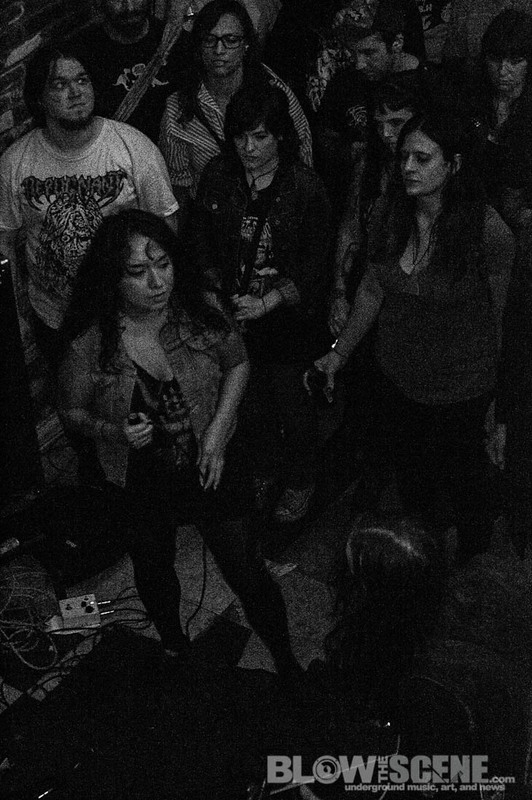 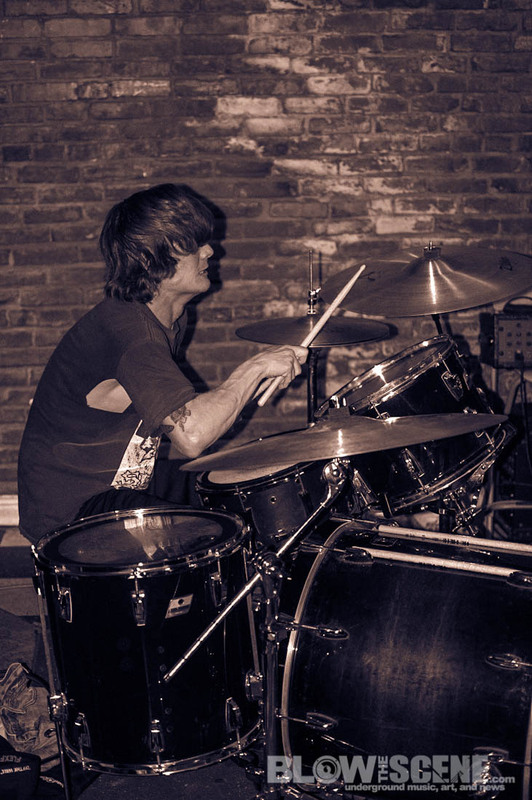 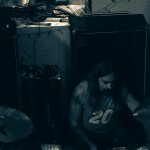 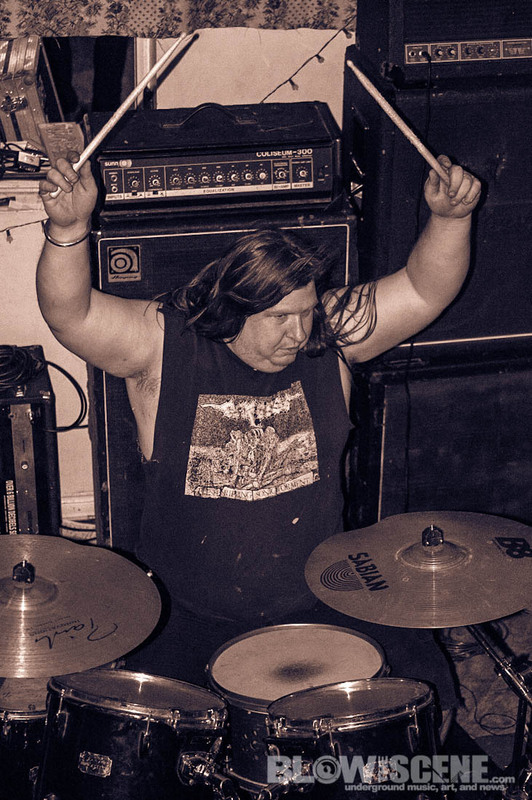 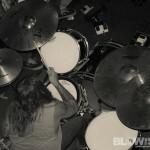 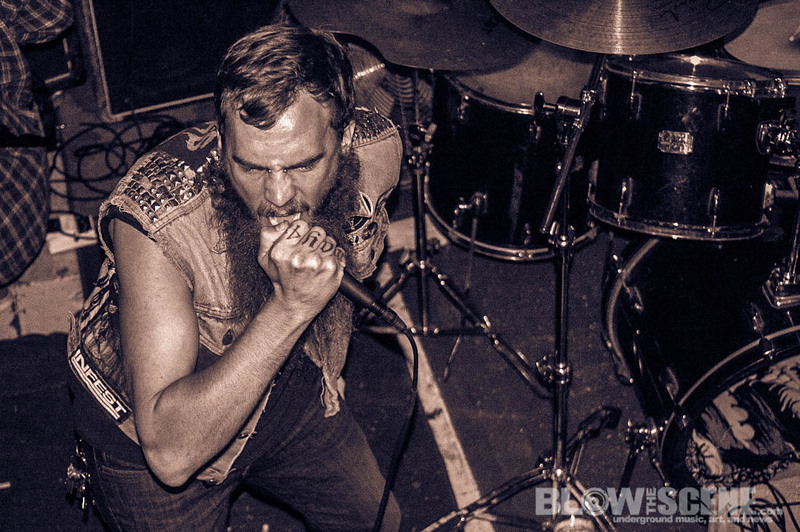 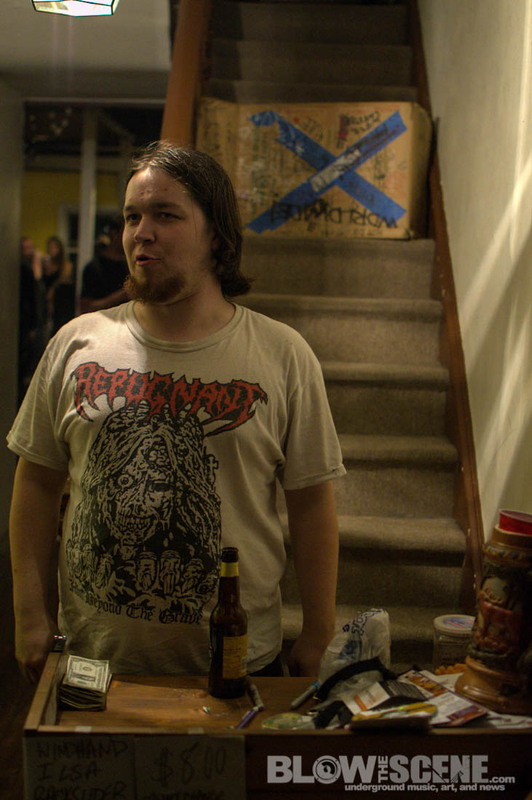 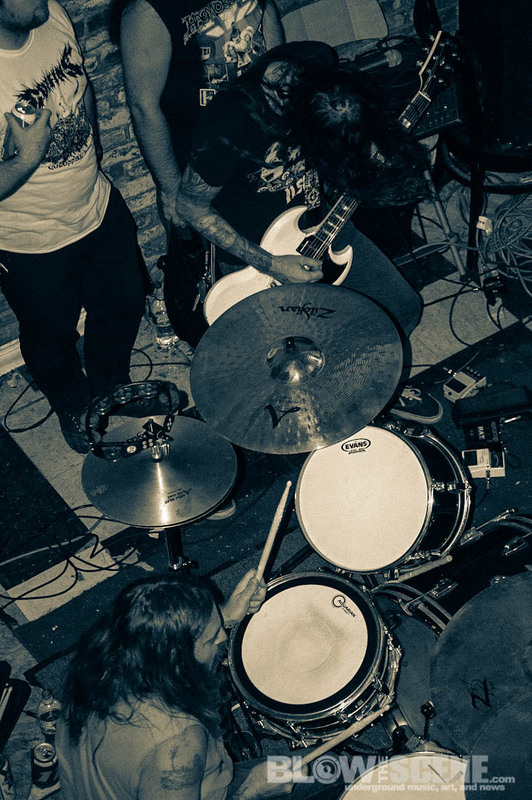 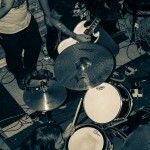 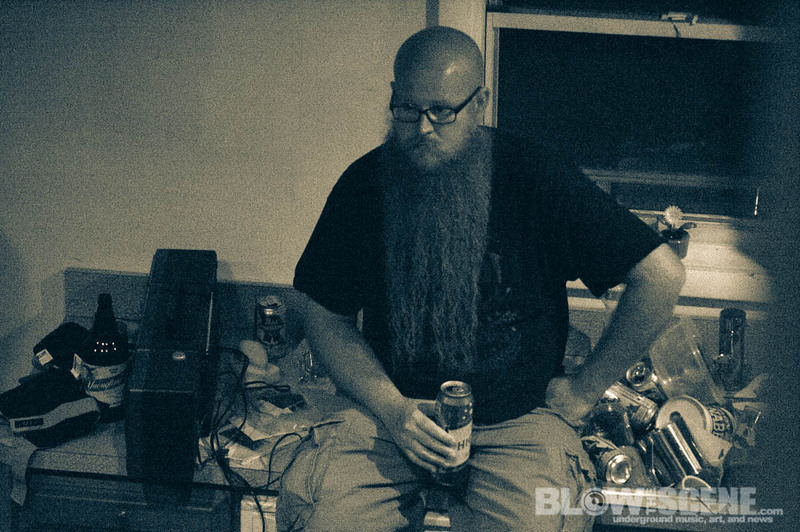 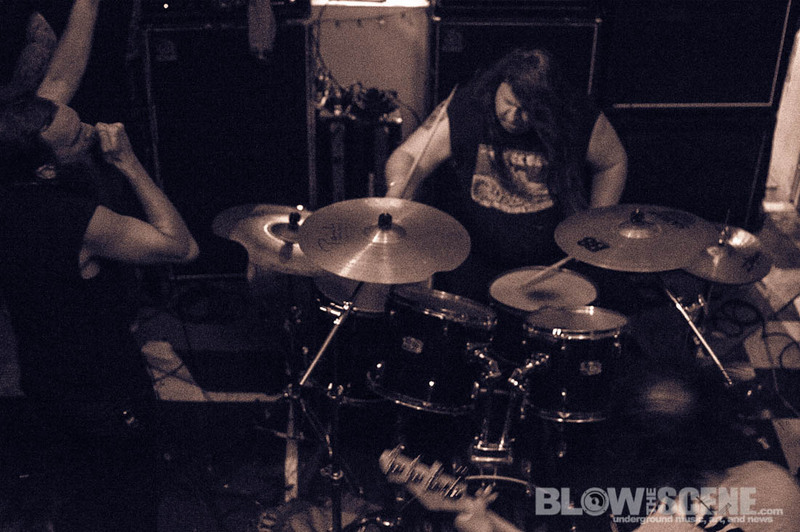 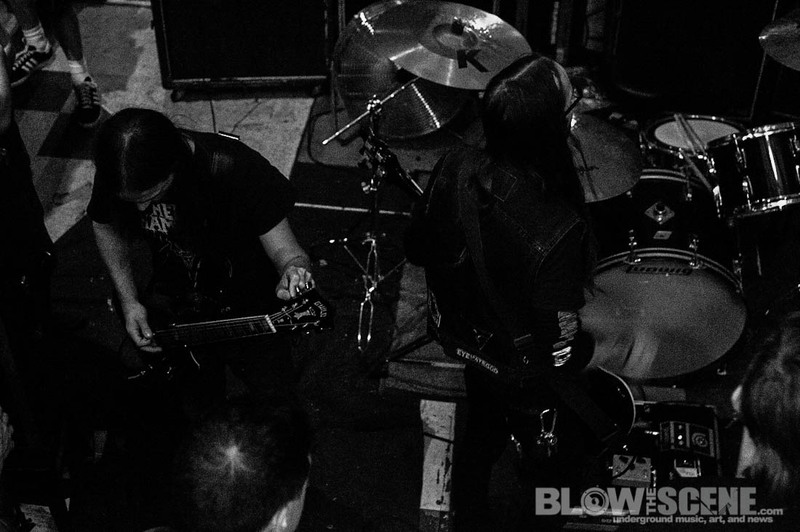 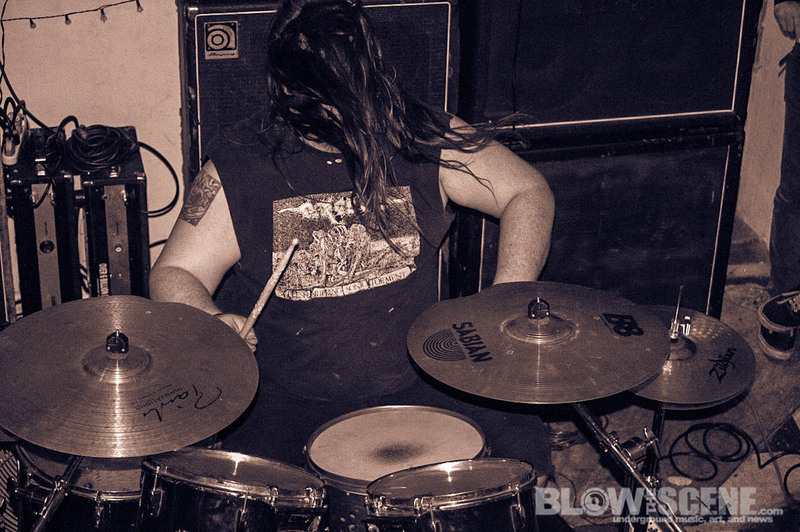 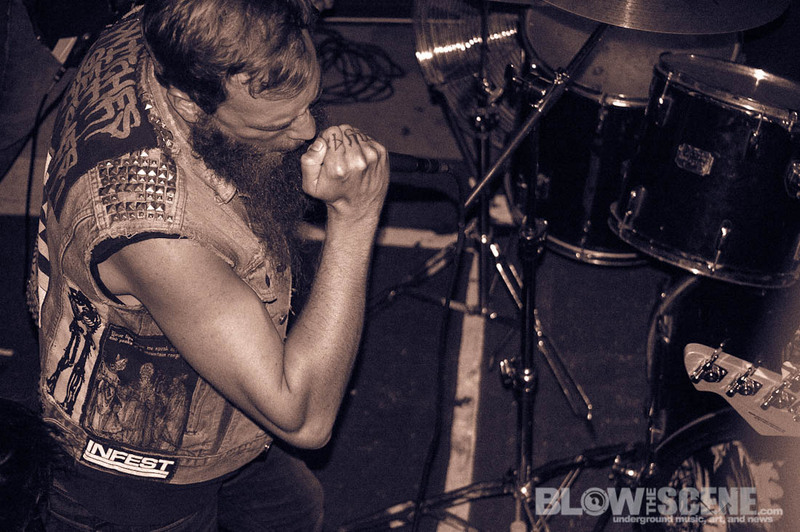 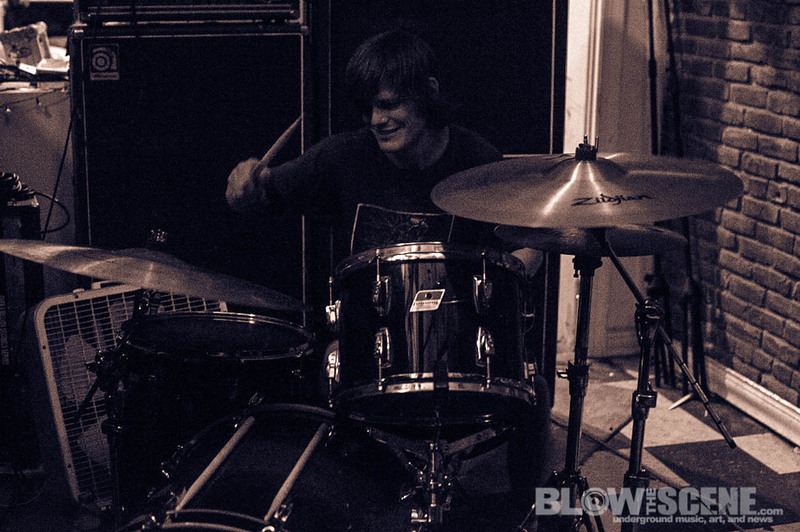 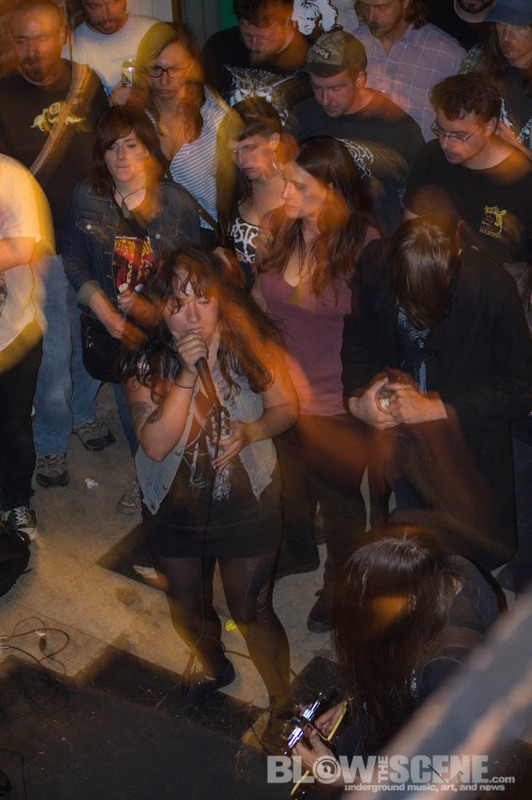 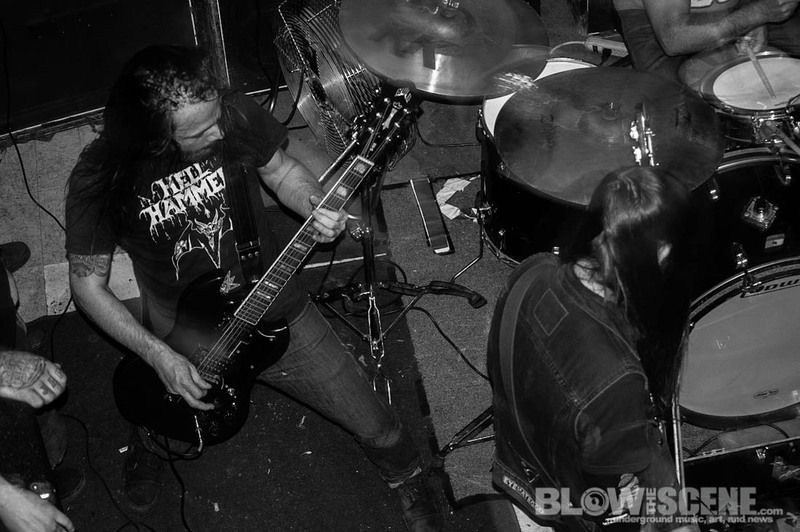 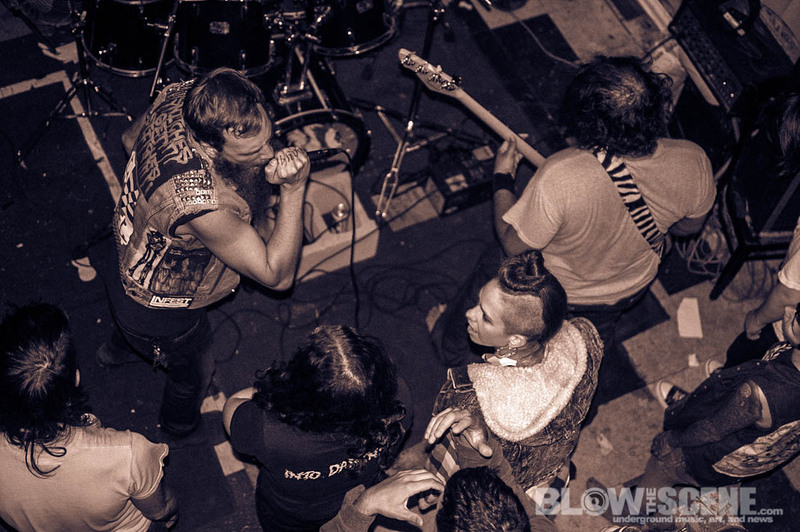 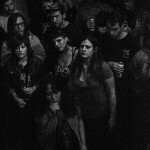 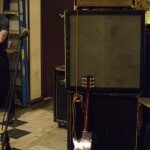 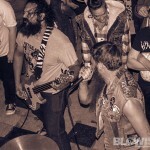 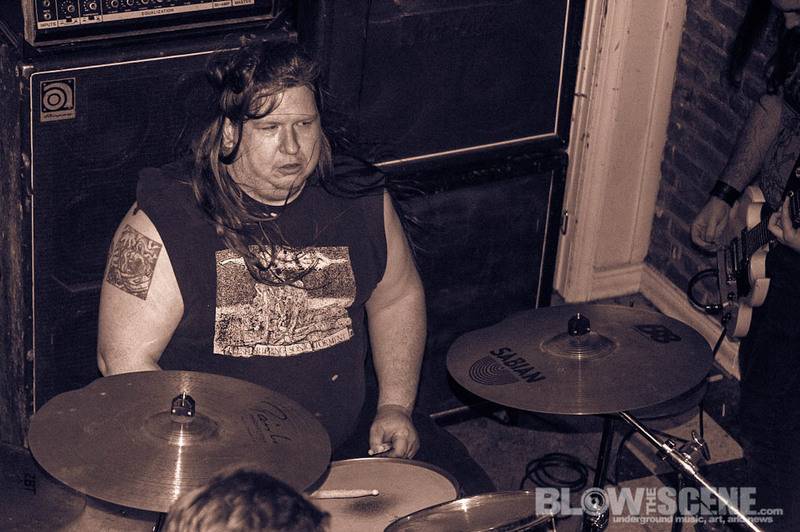 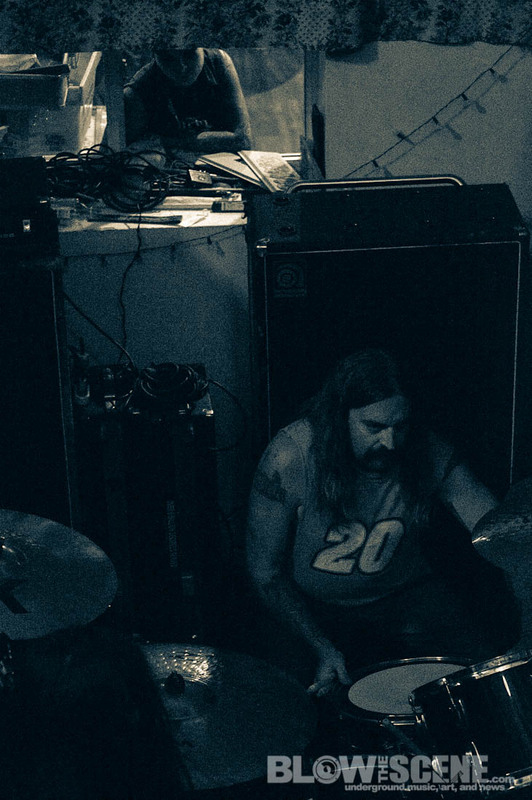 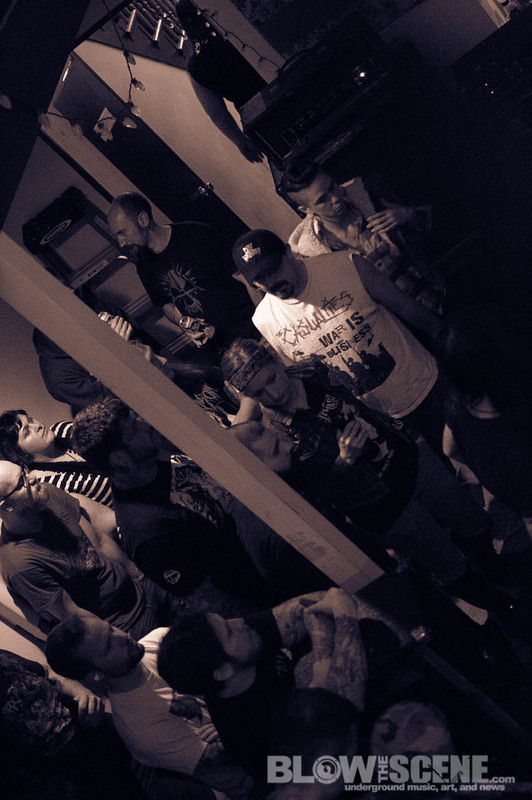 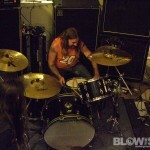 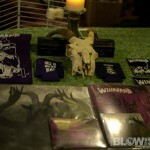 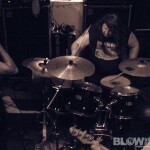 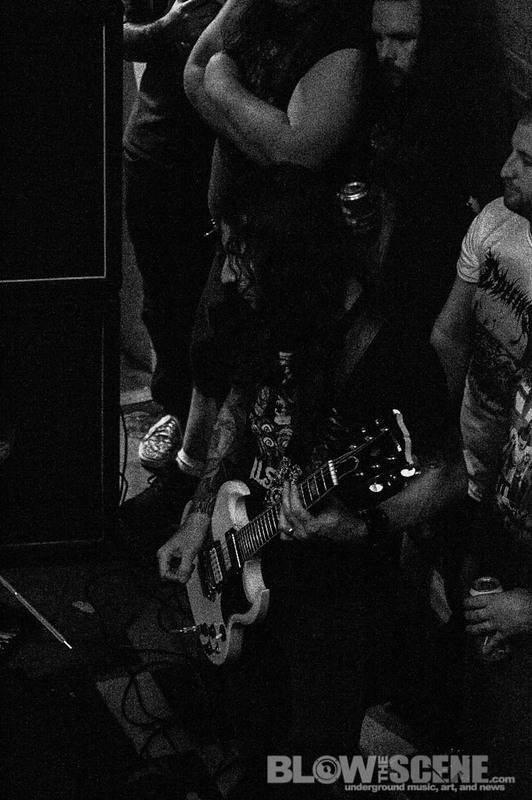 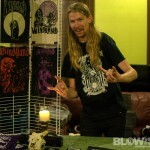 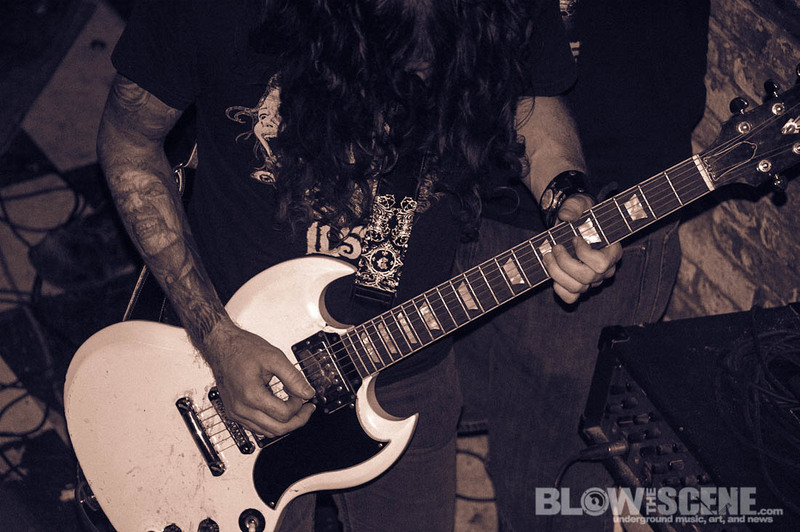 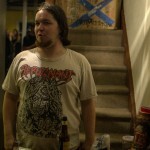 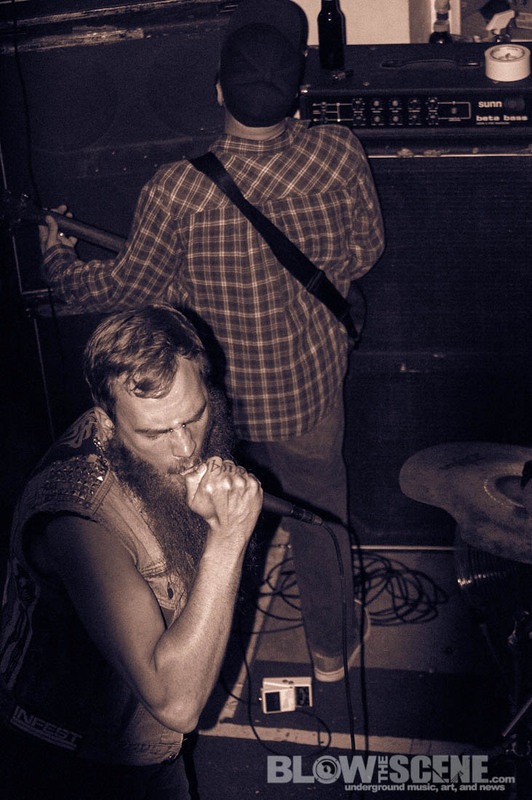 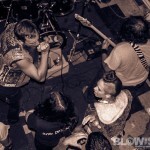 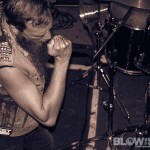 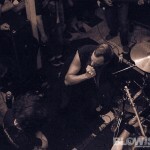 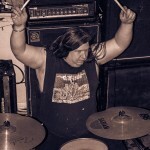 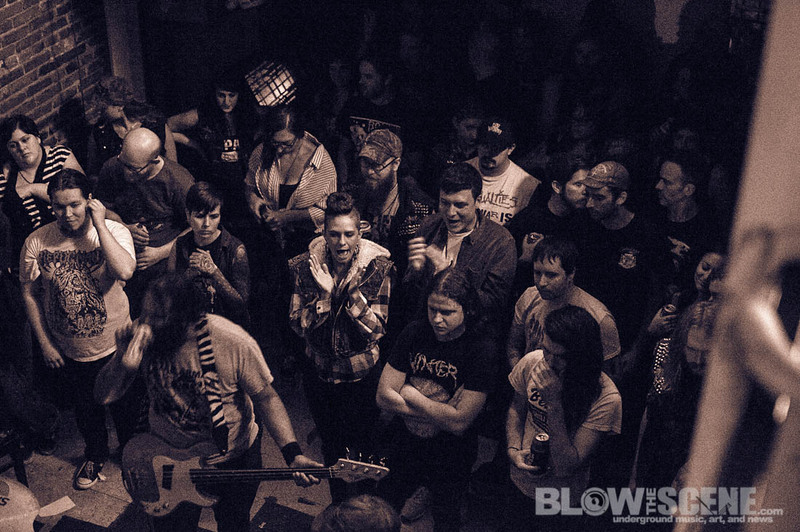 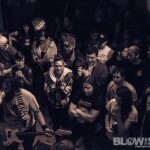 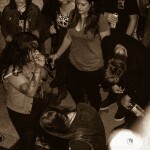 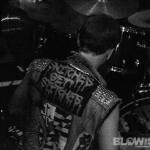 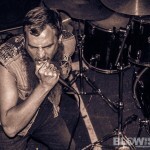 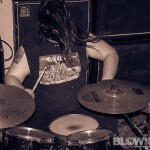 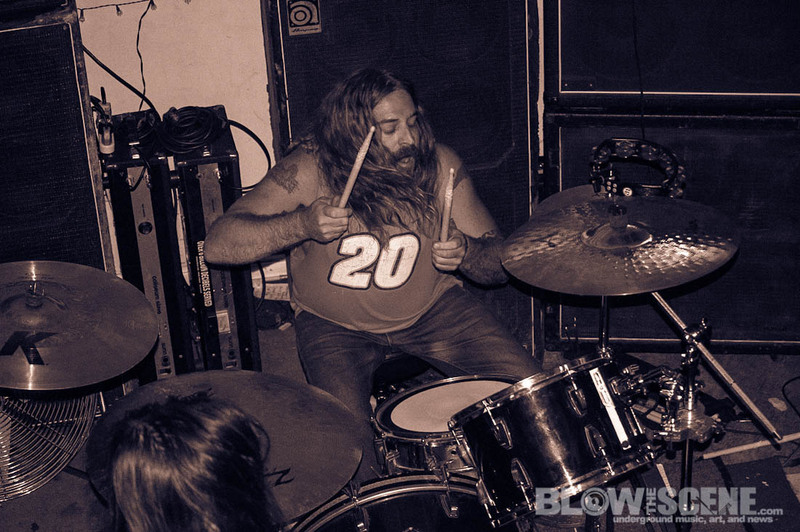 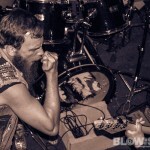 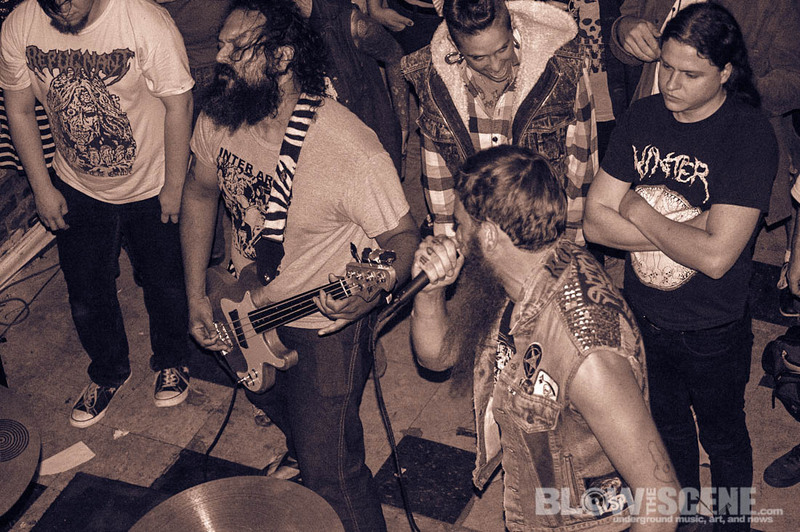 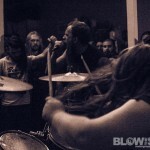 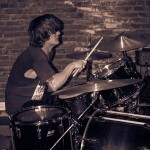 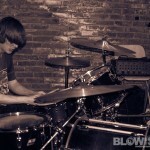 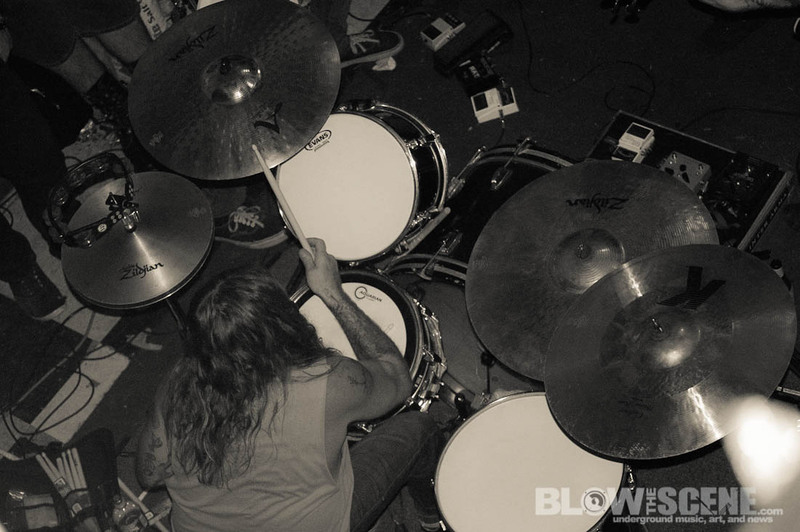 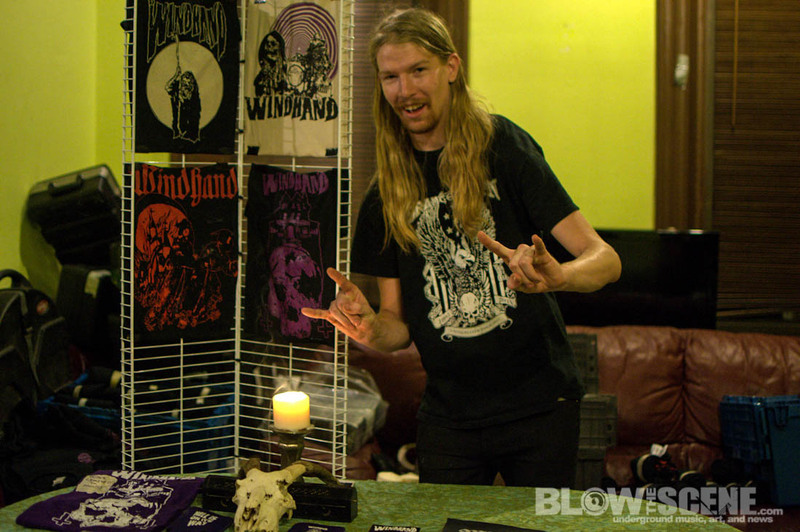 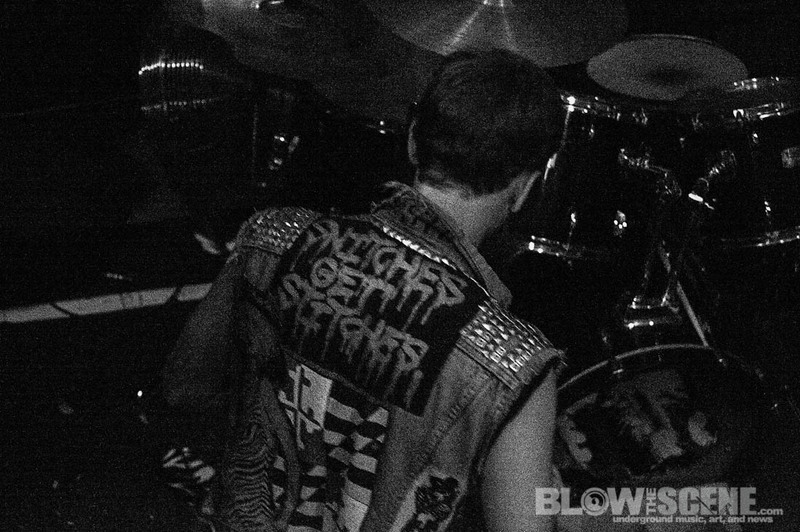 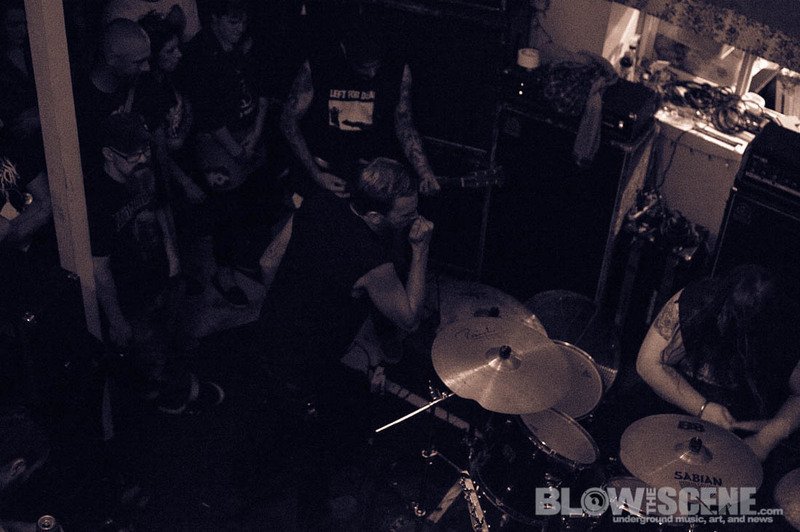 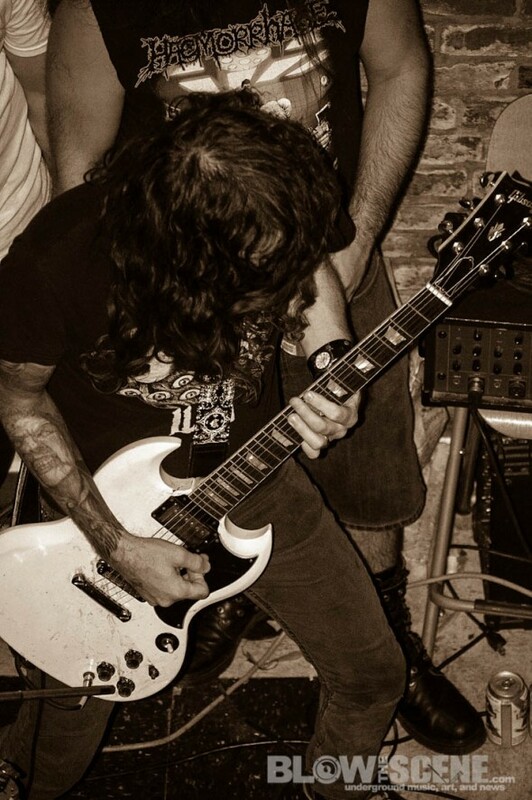 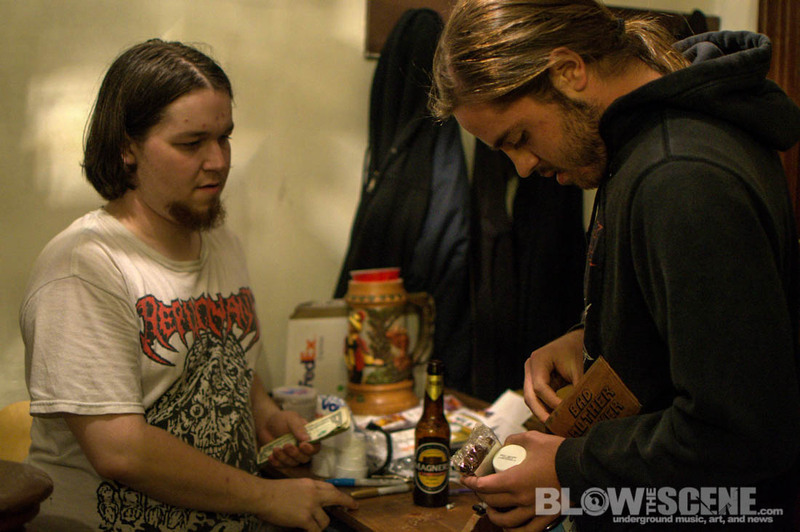 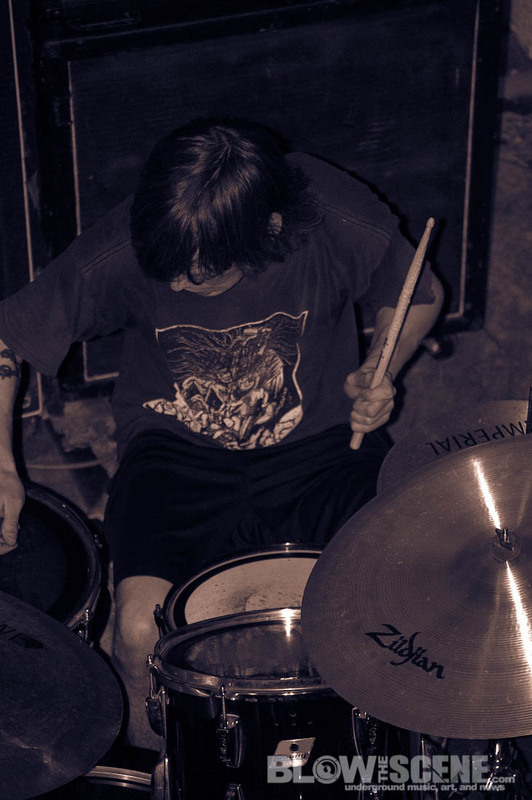 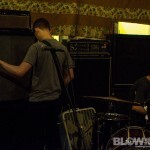 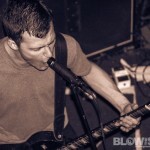 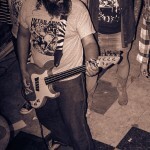 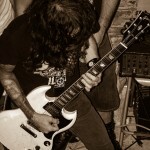 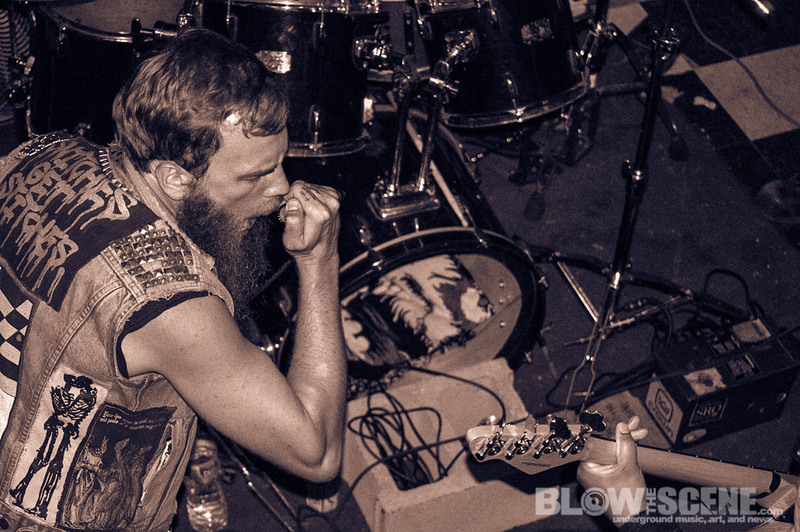 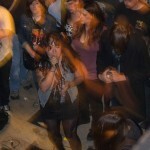 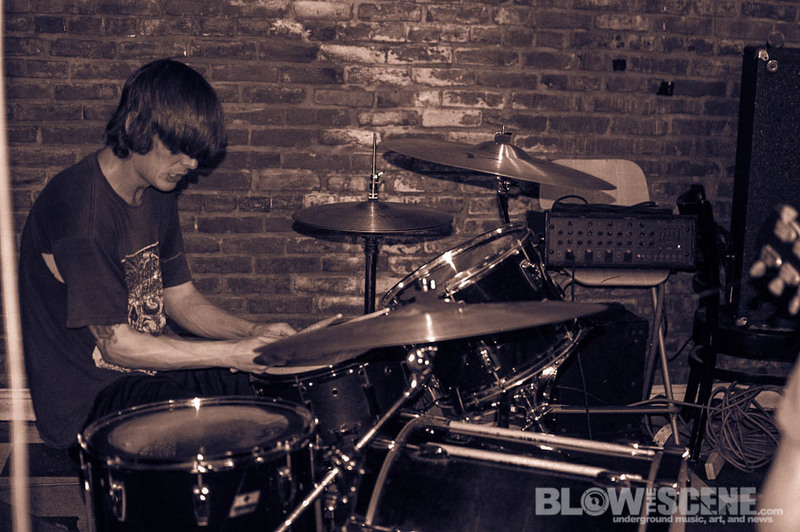 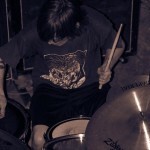 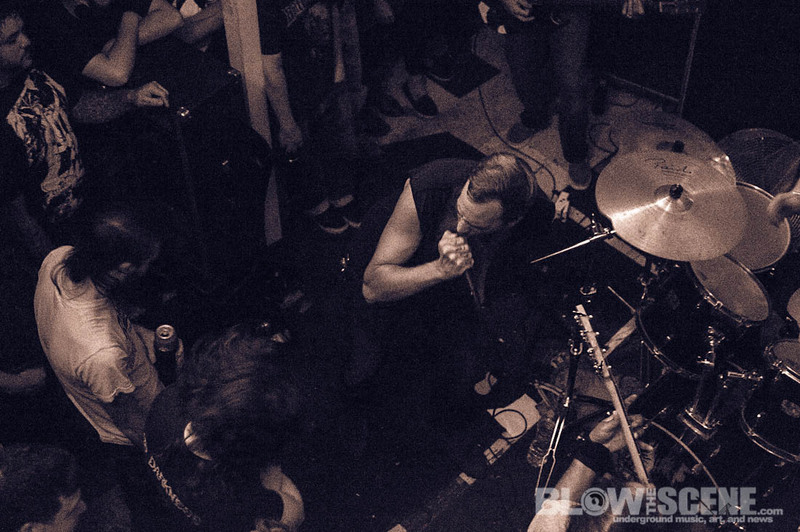 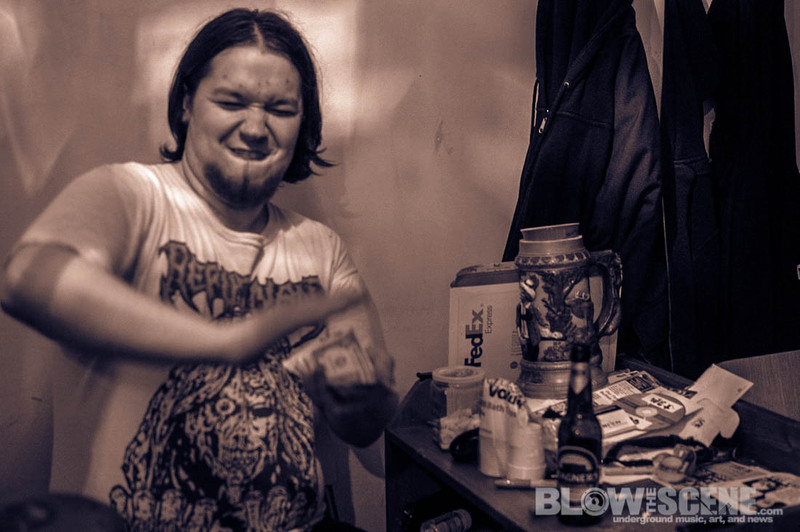 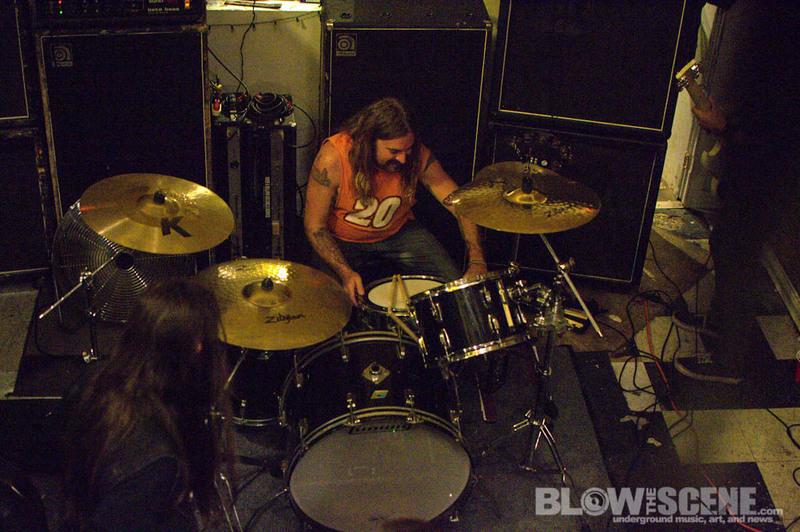 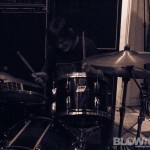 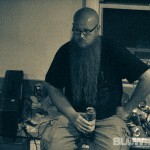 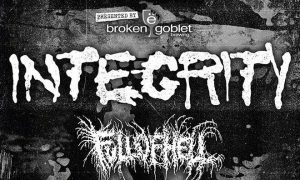 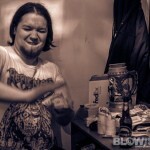 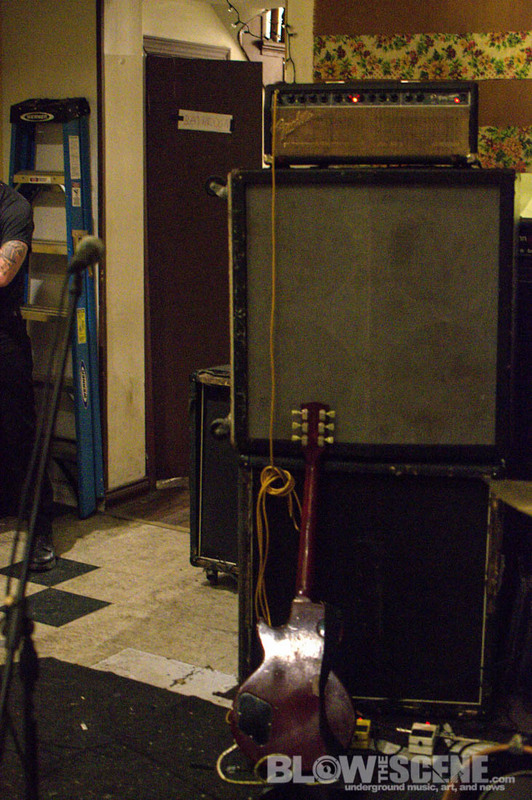 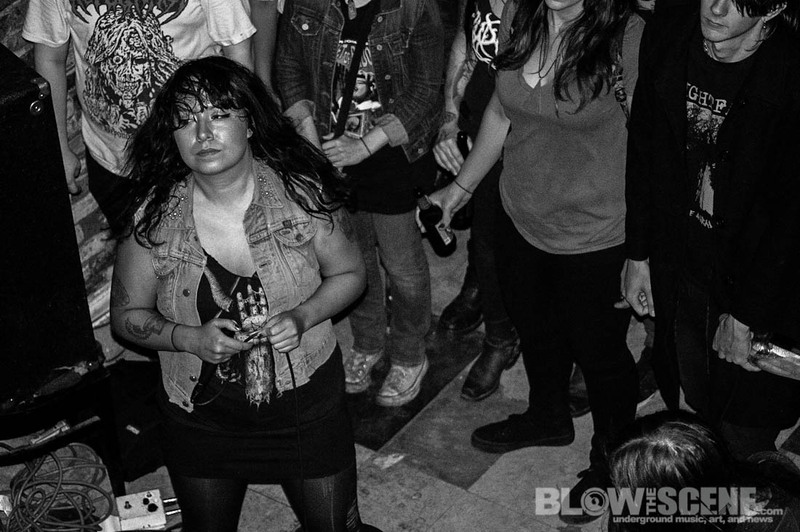 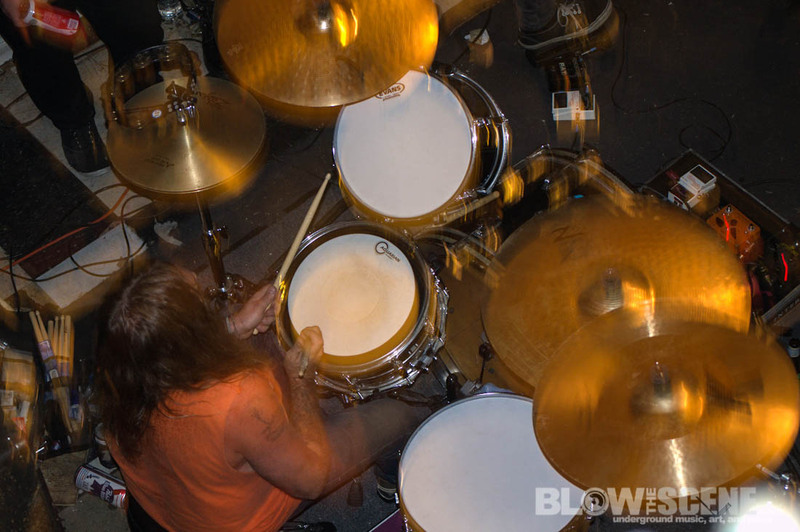 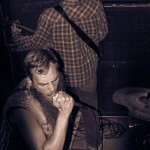 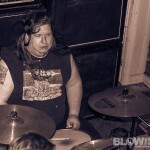 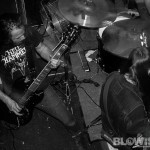 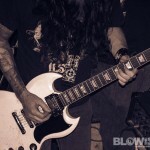 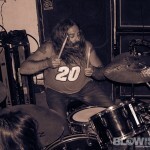 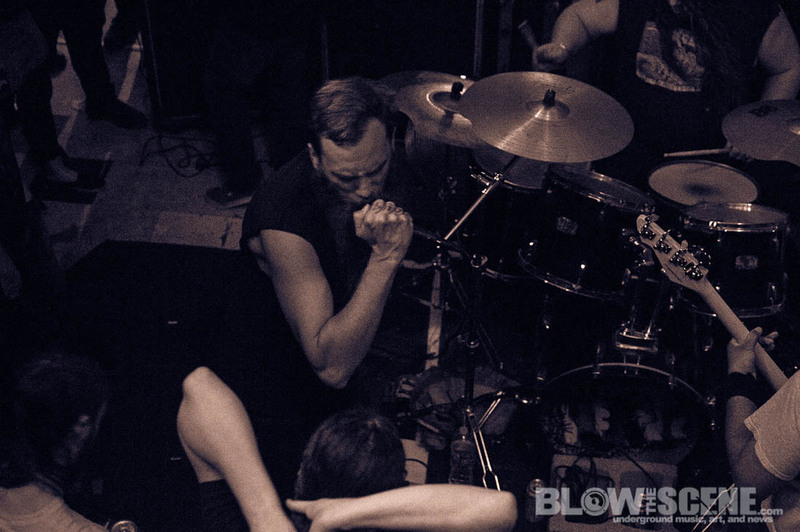 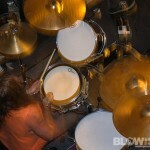 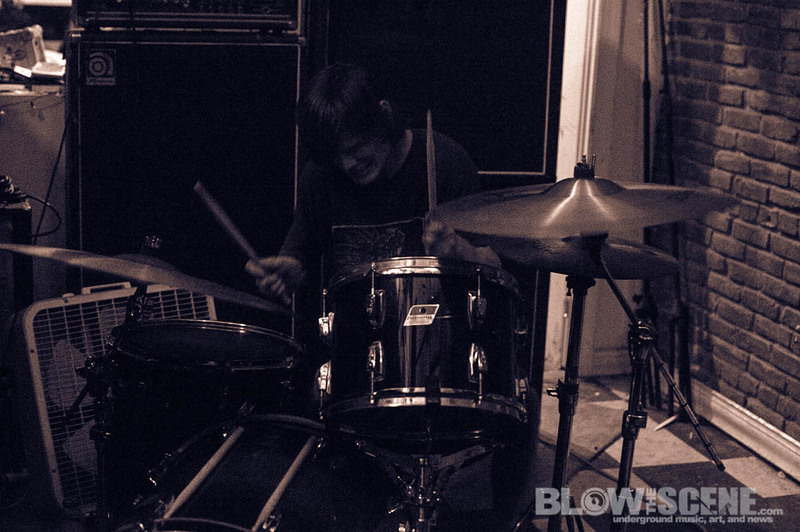 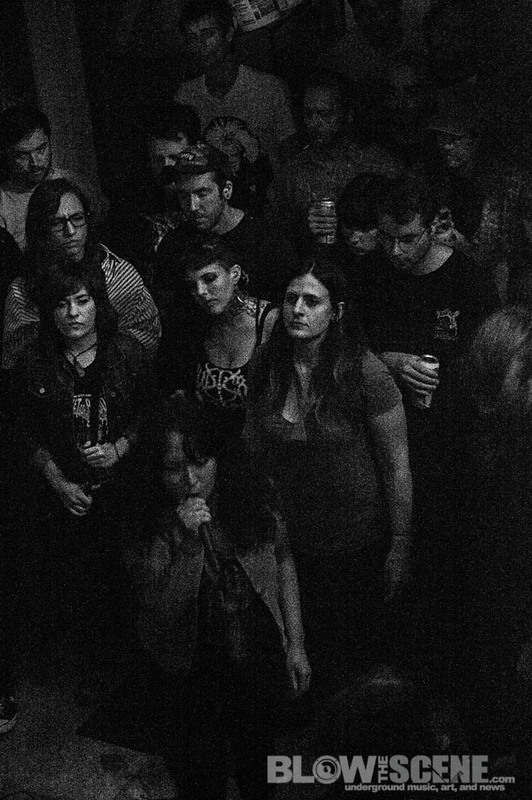 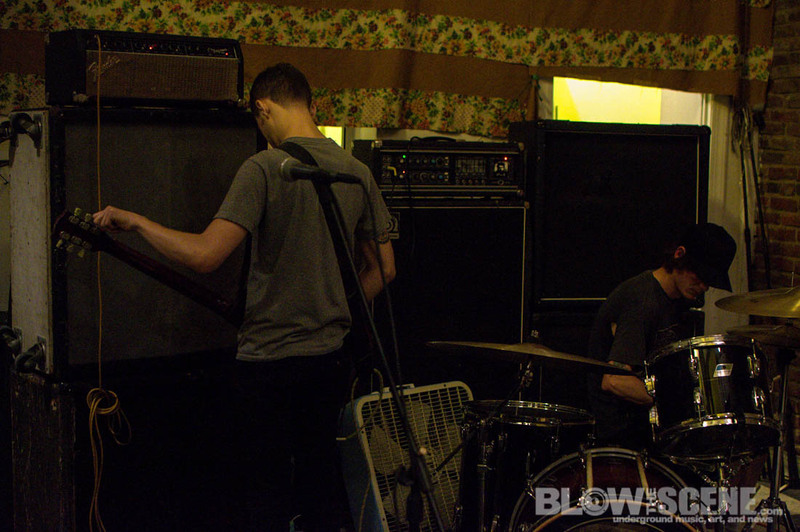 Philly House Shows pt XII takes us to West Philly’s Golden Tea House for a recent performance with Richmond’s psychedelic metal unit Windhand, DC doom punks ILSA, and Philly’s own powerviolence duo Backslider. 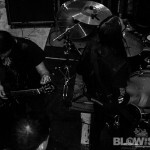 Windhand‘s Relapse Records debut LP Soma hit streets worldwide in September and has been noted for a dual guitar attack compared to such pioneers as Black Sabbath and Nirvana. 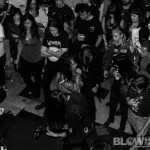 Windhand play what has been described as a tinnitus inducing mix of eerie psychedelia and haunting ambient doom. 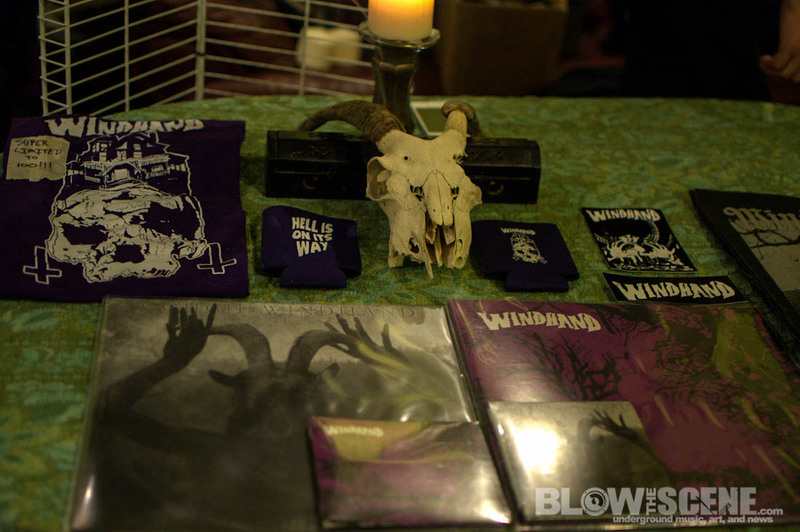 Prior to this most recent effort, 2012 saw the release of Windhand‘s self-titled, debut LP via Forcefield Records and was critically acclaimed by Decibel, Pitchfork, CVLT Nation and many more. 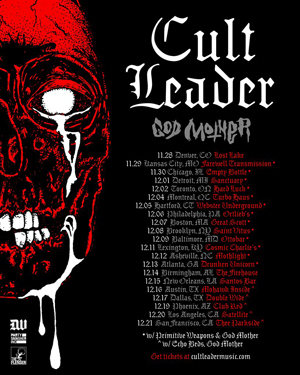 Windhand will be on the road in November and December with a full list of confirmed dates below. 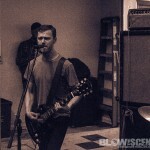 Formed in 2008, ILSA self released a limited demo before delivering the incredible Tutti Il Colori Del Buio LP (Contagion Releasing) which received rave reviews and was followed up by a split 12″ with Finland’s Hooded Menace. 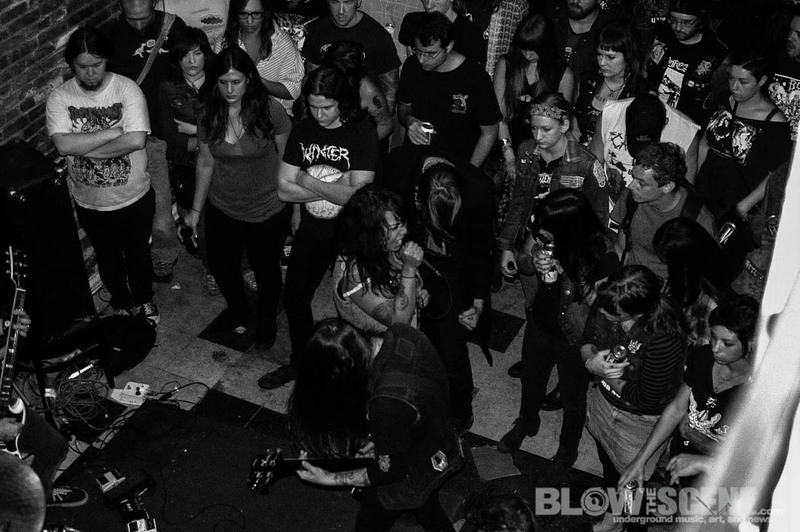 Combining an obsession with 1970′s foreign horror films, and a sound that is equally devastating on record as in a live environment, ILSA is sure to please fans of Grief, Amebix, and A389 Recordings label mates Seven Sisters Of Sleep. 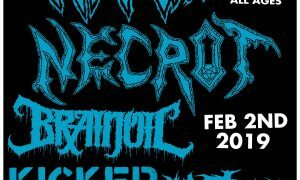 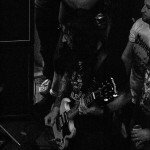 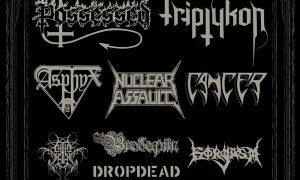 This particular date was last of string of shows with A389 patriarch Dom Romeo filling in on guitar. 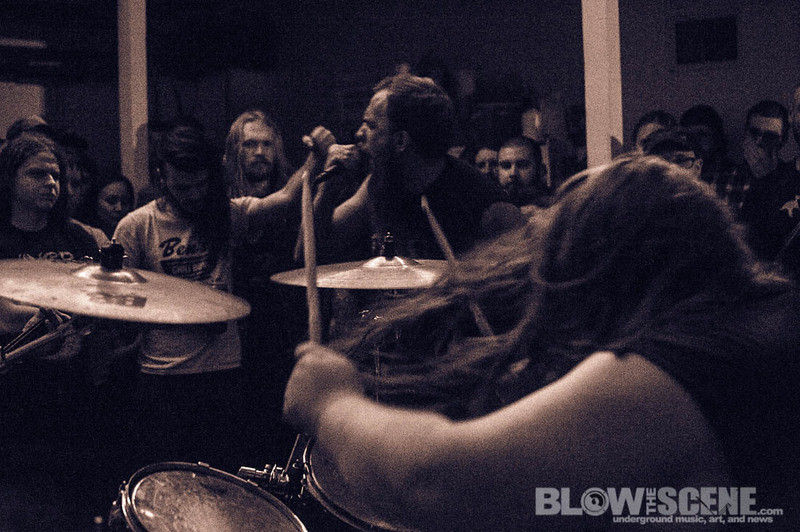 ILSA delivered a deliciously crushing set that we’ve come to expect, defiantly a band to keep an eye on for fans of the genre. 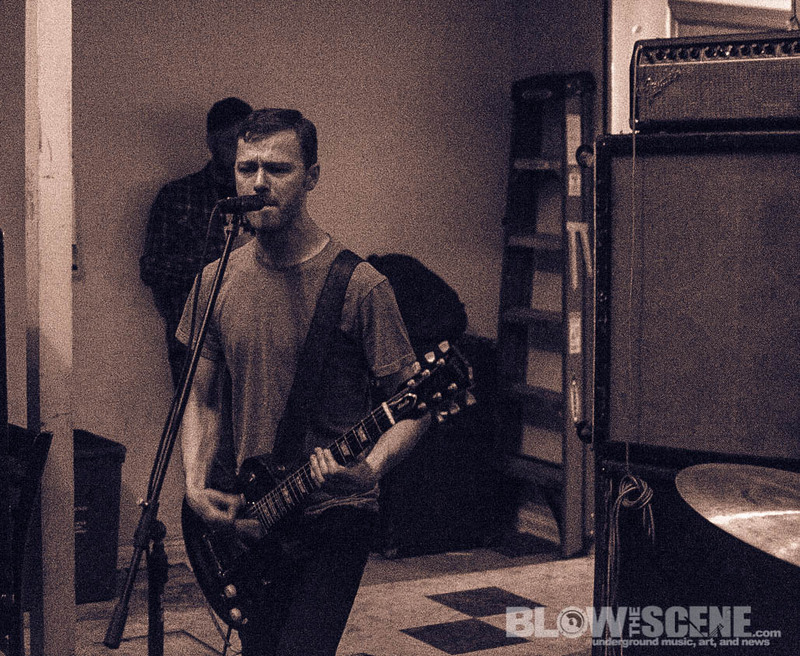 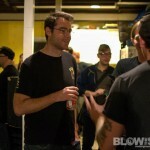 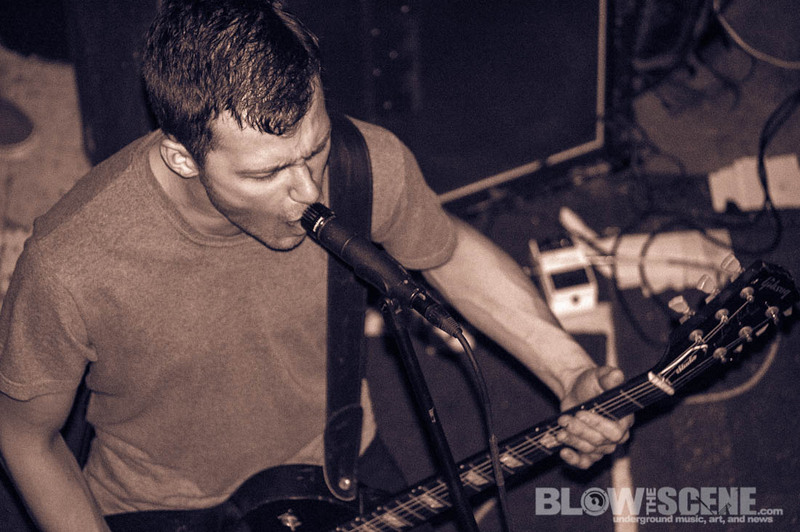 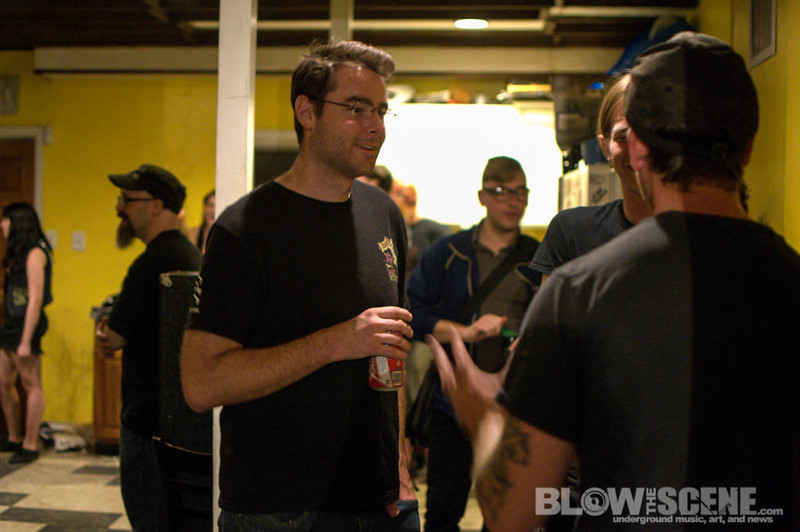 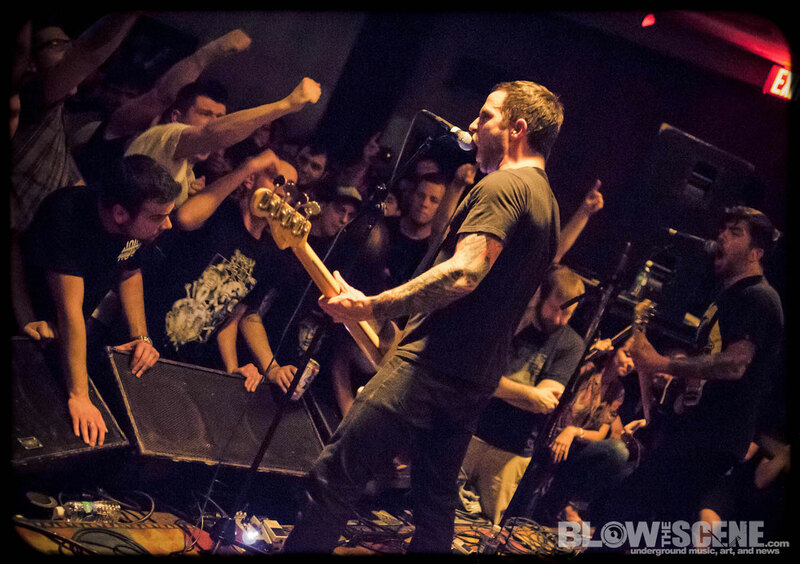 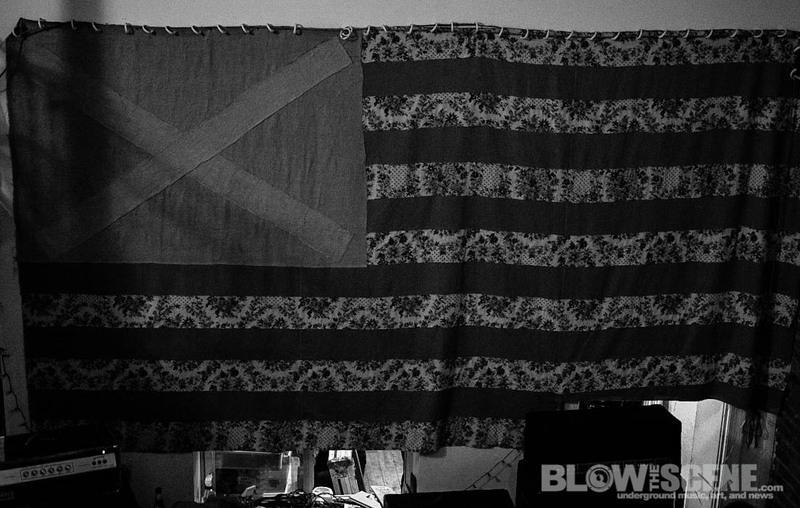 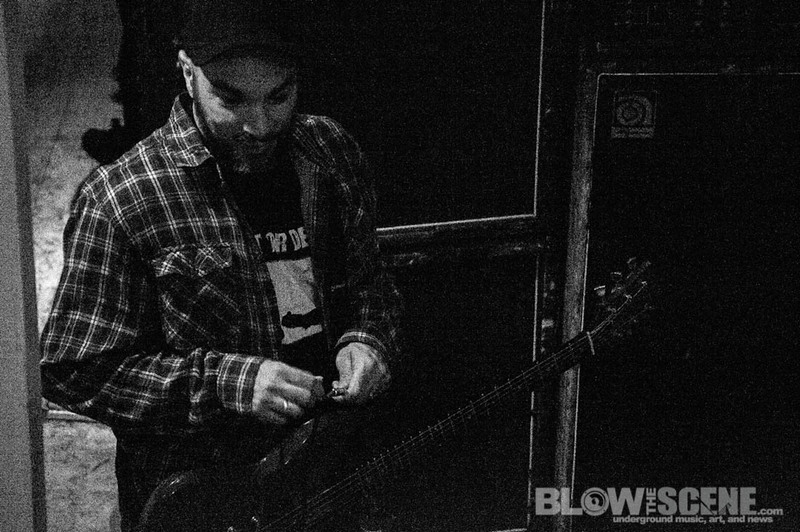 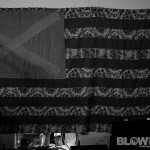 Philly’s Backslider are continuing to support a new release on Six Weeks Records. 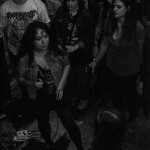 We had the pleasure of dropping an exclusive track premiere of new song “I Won’t Stop Hurting You” taken from the band’s 10″ Consequences. 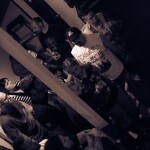 This latest recorded effort was handled by Kevin Bernsten at Developing Nations in Baltimore, MD.